Life is filled with peaks and valleys, and all of us hit the highs and lows at various times in our life. However, sometimes it may feel like you are forever stuck in a low valley, unable to achieve a certain goal or losing sight of what exactly your goals are. We often procrastinate and know that we are living beneath our potential, but can’t seem to get out of the daily rut. The stagnation we experience is a sign of much deeper problems in our life—problems that require deep thinking and self-examination. Here are 7 ways you can start to overcome the stagnation in your personal and professional life. You are not the only one. Everyone has experienced stagnation before, and thousands are probably experiencing it at the same time as you. Don’t fight it. Accept that you are going through a stagnant period, understand that it is okay, and then you can focus on implementing changes in your life to get out of it. Become inspired again. Sometimes it is just as simple as re-examining dreams and wishes that may have gone ignored. Is there anything you forgot that you have always wanted to do or become? Setting out to accomplish these goals will help motivate you in your daily life. Try new things. We get bored with our day-to-day routine, yet we are often so complacent in our lives that we don’t fix anything. Force yourself to try something new, whether it is learning a new skill or language, or skydiving and mountain climbing. New experiences give us a renewed interest in life’s many wonders. Vocalize what bothers you. Is there someone or something in your life that has been bothering you for a while? If so, you need to get it off your chest. Don’t let negative feeling just sit there. It stirs up resentment in our relationships with people and keeps us from focusing on our goals. Don’t be afraid. Stagnation thrives on us being afraid to move ahead because we may feel we are not up to the task. Everyone has a fear: snakes, public speaking, the dark. Take something you are afraid of and challenge yourself to face it. This will remind you that you are capable of overcoming any challenge that life may throw your way. Concentrate on what you want, not the goals of others. The lives of others most always seem better than our own, yet we all know that everyone has problems to deal with. We all wish for something better. Don’t fall into the trap of envying others. Concentrate on what you want out of life, what your next goal is, and don’t compare it to the goals of others. Most of the time, they go through the same difficulties in trying to achieve their own accomplishments. Interact with your community. We need to know that there are others like us. Book clubs, gyms, churches, and school functions are great places to meet others that share your ideas or beliefs. These interactions give our life more flavor and provide the emotional, creative, or professional support to invigorate a passion for what we want. Everyone wants to make good money online. Well, here are W. Smiths highlight of a few Top ways you can make money online... In a good way OK.
'Get Paid To' sites. I may not totally agree with number 1, but if you look at other, you could engage your time meaningfully. Until you aspire you can’t acquire. Someone said what you don’t desire you don’t deserve. Living without a goal makes you no better than a goat. Without ambition, your genius cannot come out! Many are gifted but they don’t care. They lack aspiration, therefore they lack success too. Aspiration helps you to stretch your potentials. When you aspire, you dream big dreams. This in turn makes you to draw as much as you can from the deep fountain of resources in you –just to achieve those dreams. Many people are too passive to succeed. There is no room for carefree people in the world of accomplishments. There is no star without an ambition and no ambition is fulfilled without maximizing inner potentials. Therefore, aspiration is a vital key for utilization of potential. If you ever watch a football match, you will agree that when a team is a goal down 10 minutes into the game, in most cases, the tempo of the game would be normal. But if the team is still a goal down at 85 minutes, the tempo will be very high. Why? Because time is almost gone and the losing team would do everything it takes to find an equalizer before it gets to 90 minutes. They had the potential at 10 minutes but the aspiration doubles at 85 minutes –because they’re running out of time. At 85 minutes, you see the full potential of the losing team in action. As they become more desperate, more of their ability shows. They make more desperate runs, long crosses, hard tackles and so on. They begin to do what they never did earlier in the game. That’s the way it is in life. If you don’t aspire for anything, you cannot unleash the hidden genius in you! Ignorance births stagnation and frustration. The understanding of who you are determines what you become. Many people don’t even know themselves. Very few people actually look within. There’s much on your inside, but you cannot know until you assess. Assessment is the mother of discovery. First, you must assess what you have. What are the resources available to you? What are your gifts and talents? What do you hate and what do you love? What aren’t you good at? Are you ready to give up doing what you are not good at? Are you ready to pay more attention to the areas of your strength? 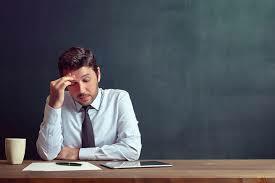 These are very crucial self assessment questions you must answer. Secondly, you must assess what you need and what you don’t need. What friends are you willing to give up? What routine is killing you? What routine is best for you? Who have you chosen as your mentor? What are the books you must read before the month runs out? You must be willing to separate wants from needs. Many people are doing what appeals to them, not what they’re created for. For example, you don’t need to go to a music school when you know you’re a gifted athlete. You should be in the stadium instead. When you assess your potential, you must also assess what you need in order to enhance that potential. Win $1000 for downloading my ebook now. 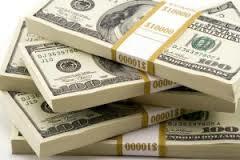 I'm offering you a great opportunity to win $1000! Just download my book "Your Talent and Your Destiny"
At a promo cost of just 1 dollars 43 cents. Yeah $1.43! This will enter you into a draw. The Draw will take place on 7th Aug. When you download, notify me on twitter @isaacjohnakagu or Facebook @IsaacJohnAkagu. Draw is just a few days away... So rush and download. Share this post on your social media eg Facebook, Twitter, Pinterest, Google+ etc... To increase your chances. Good luck! Hello there, I just got an interesting nomination for the Liebster bloggers award; much to my amazement though because I’m considerably a newbie in blogging. 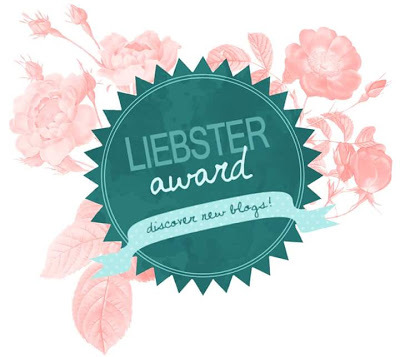 The liebster blogger award is an award given to bloggers by fellow bloggers who they consider inspiring and hardworking. Liebster in German means sweetest, kindest, dearest, beloved, lovely, kind, pleasant, valued, cute, endearing, and welcome. 1. Thank the person who nominated you and post a link to their site. 2. Display an image of the award and write a post about your nomination on your blog. 3. Answer the 10 questions your nominee has asked in their blog post. 4. Nominate 5-10 other deserving new bloggers for the award and ask them 10 questions of your choice. 5. List the rules of the award in your blog post. I own the Mutual Faith Blog. I got inspiration for this blog when I read Romans 1:12 (NIV). It says; “that is, that you and I may be mutually encouraged by each other’s faith.” My goal is to bring people together who will motivate themselves, inspire themselves and together, break the limits in their lives. 2. What has been the most rewarding experience your blog has brought you? There’s nothing that inspires me more than the knowledge that I’ve been a blessing to someone. Every time I blog, there’s a sense of fulfillment. It’s not a one-time thing, it’s every time! 3. What is the best piece of advice you can give your readers? You are too gifted to die a mediocre. Start maximizing your God-given talents right away. 4. What is your favorite travel destination and why? In Nigeria it’s Calabar…it’s a nice place for Holidays. But overall, I’ll certainly go for London. I love the view from the air, especially when descending toward the Heathrow airport. 6. If someone were visiting your city or town, what would you suggest they do? Well currently I’m in Lokoja. If you’re coming here for the first time, come with a lot of books to read cos there ain’t too many sights to see, to be sincere! But rest assured, it’s a peaceful place overall. 7. What makes you deliriously happy? Frankly, it’s when I realize people are reading my books. 9. What is a difficult obstacle you have had to overcome? Getting my thesis approved years back. I had a very difficult supervisor who was bent on frustrating me. But God frustrated him instead. 10. What are you most grateful in your life? It was God giving me a second chance at living, many times. Very notably, in 2003, I took a short flight to Jos from Lagos. Then I decided to follow my cousin (who was working in the airport and also living close to the airport) to his house. We climbed his bike and on our way, we tumbled off the bike for reasons I don’t know till today. Suddenly we were lying flat in the middle of an express road and vehicles right behind us were on high speed. That day I escaped death miraculously and I’m so grateful to God for that. Here are five lovely blogs anyone would love. I’m nominating them. 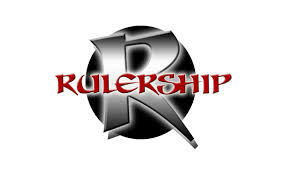 Watch my short clip on favour for Rulership here https://youtu.be/M6_47hHruOs and don't forget to share. You're Too Loaded to still be Where You Are!!! @isaacjohnakagu. Awesome Inc. theme. Theme images by molotovcoketail. Powered by Blogger.